HEAVY MONTRÉAL presented by Black Label is back for a 10th edition on July 27 & 28 at Parc Jean-Drapeau as well as on July 26 with HEAVY IN THE CITY! This year, the festival returns to its traditional site, which has been revamped in the past two years by the city of Montréal. 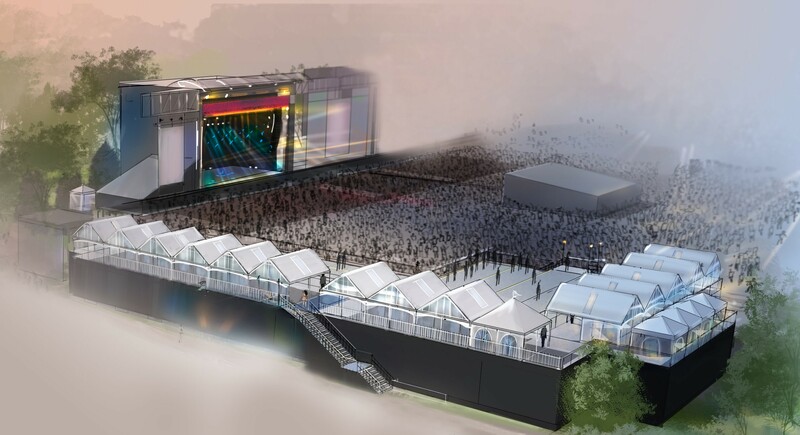 The festival will take place on Île Sainte-Hélène of Parc Jean-Drapeau, one of the most renowned festival sites in North America! Here’s the lineup of the biggest heavy music event in Canada! 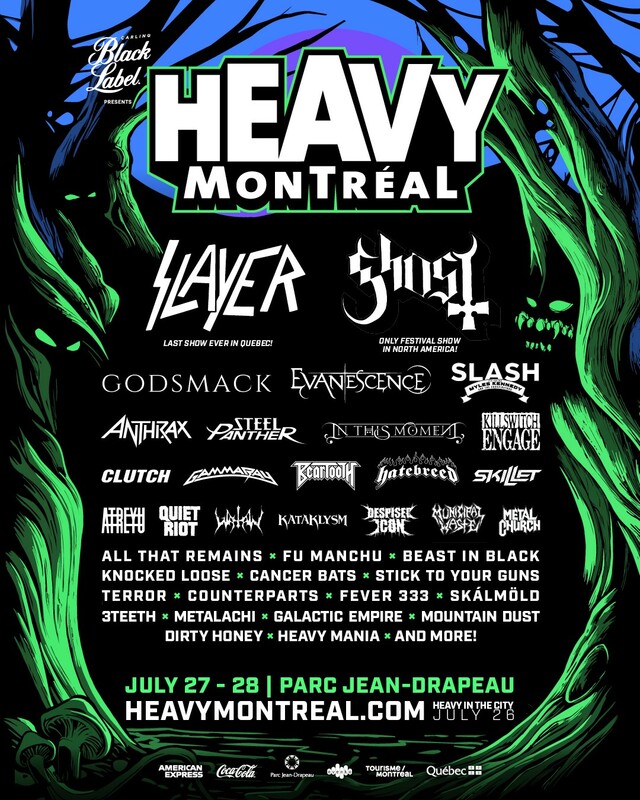 More than 30 bands have been booked this year, including: Slayer, who chose HEAVY MONTRÉAL for their final concert EVER in Quebec after nearly 30 years on stage; Ghost, with their ONLY festival set in North America this summer—it’s gonna rock! ; American heavy metal band Godsmack; led since 1996 by Amy Lee, one the most important female rock icons, Evanescence will also visit us; and Anthrax, part of The Big Four performing at the festival this summer (with Slayer). Also, Slash featuring Myles Kennedy & The Conspirators, Steel Panther, In This Moment, Killswitch Engage, and many more! Gold Passes give access to a reserved premium area located near the main stage, with private bathrooms and exclusive food and drink stands. See set-up below. Louder Than Life Announces Daily Music Schedule And New Mobile App!